1910. LILLESHALL COMPANY, Shiffnal, Shropshire. 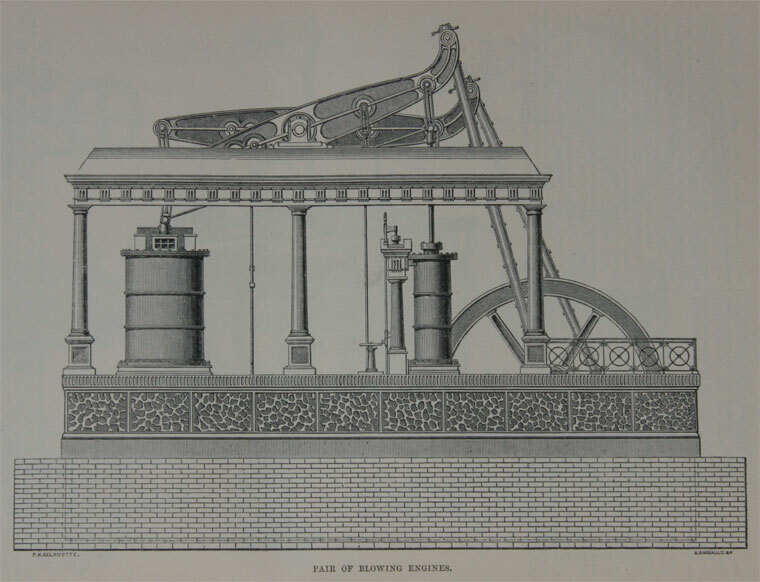 The small pair of BLOWING ENGINES sent for exhibition by the Lilleshall Company, are self-supporting, and fixed upon wrought-iron foundation, etc. for the convenience of exhibition. They are capable of blowing 2 cold-blast furnaces, are arranged to work together or separately with great economy, and are most simply and substantially built. 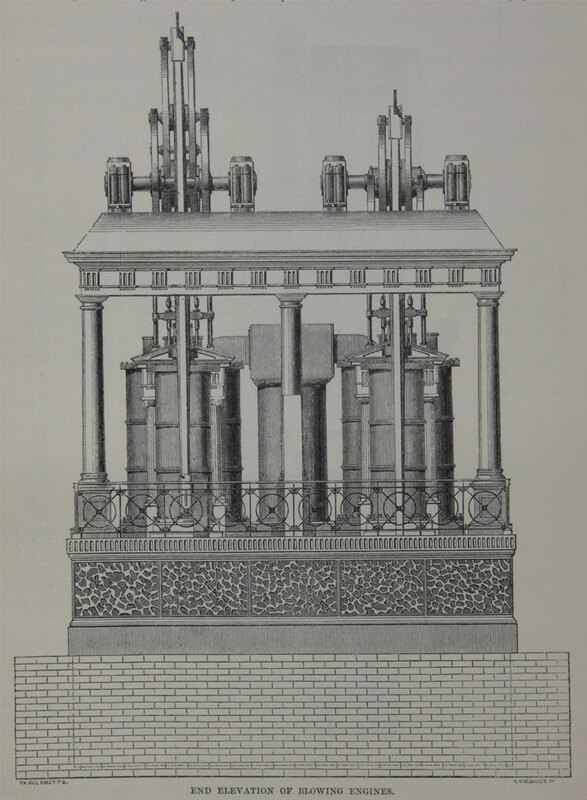 A pair of large engines may be seen at the Works, of the same design, but fixed in a house, the beams resting upon a transverse entablature, supported by 4 massive columns; blowing 5 cold-blast furnaces. The Company are manufacturers of all kinds of high-pressure expansive and condensing steam engines, and colliery and contractor's locomotives, especially adapted for heavy gradients and sharp curves, fitted with the Lilleshall Company's patent compensating buffers, which adjust, themselves to any angle, each buffer taking equal strain; and also Gifford's injector, most important improvements in this class of engine. Blast engines fitted with 4 double-beat valves and expansive valve gear, working direct, of simple and durable construction (all the gearing and principal wearing parts being of hardened steel). This Company also manufactures PUMPING ENGINES of all descriptions, acting direct or through a beam, working with high-pressure steam, cut off at any part of the stroke; condensing winding engines, horizontal, vertical, direct or beam, coupled or single, fitted with a new improved link motion (which gives the engine-man more perfect control); strong and massive steam-engines for rolling mills, sugar mills, saw mills; chilled and grain rolls; guides and other castings, where strength and durability is a desideratum. All these goods made from the Lilleshall cold-blast iron. See specimens of coals, and argillaceous ironstones, from which their cold blast pigs are made, Class 1.